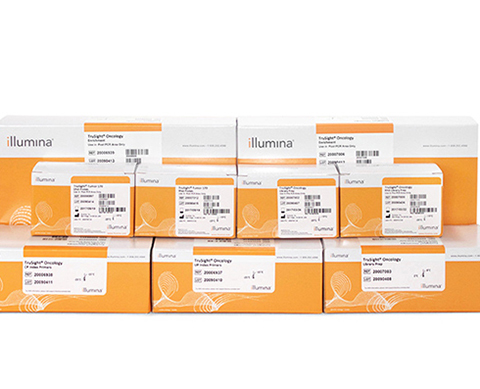 Illumina has launched its TruSight Oncology 500, a pan-cancer assay designed to measure tumor mutational burden (TMB) and microsatellite instability (MSI)—biomarkers that have shown potential for identifying new immunotherapies. TruSight Oncology 500 uses both DNA and RNA from tumor samples to identify somatic variants underlying tumor progression, such as small DNA variants, fusions, and splice variants. The assay covers genes beyond current cancer guidelines while covering 1.94Mb of the genome to measure TMB. It also provides the ability to run RNA and DNA biomarkers into one workflow to enable labs to evaluate all relevant biomarkers at the same time. The tumor-only workflow provides cost savings for a lab since there is no need to run a normal sample each time. TruSight Oncology 500 is for research use only and will ship in Q1 2019.